First, I like how Merl Reagle has embraced ubiquitous capture as a way to systematically gather all the disparate drizzles of inspiration that constitute his job's research. Can you imagine how to wrangle the intellectual raw materials for a task like making crossword puzzles? Yikes. So, just as much, I like how this illustrates the opportunity (and challenge) that more and more people face today: defining what your own job is_. While we're not all employed in a field that's as unique as puzzle-making, most of share Mr. Reagle's need to decide _how we do what we do. And one of the affordances for that process that a lot of folks are using is -- you guessed it -- portable paper. 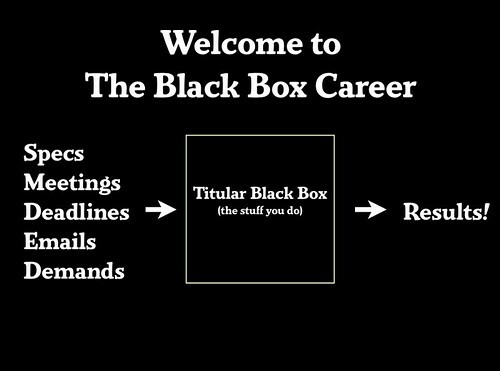 Thus, crossword puzzle maker now joins my running list of "Black Box Careers."